SSC has extended the application last date of SI in Delhi Police, CAPFs and ASIs in CISF after it added 123 departmental posts in Delhi Police. 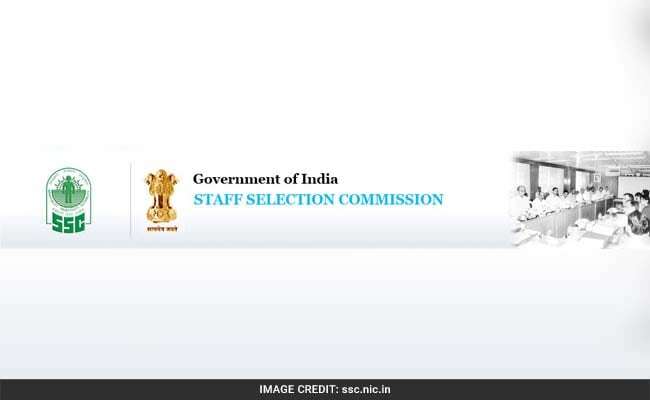 New Delhi: Staff Selection Commission (SSC) has extended the application submission last date of recruitment of Sub-Inspectors in Delhi Police, Central Armed Police Forces (CAPFs) and Assistant Sub Inspectors in CISF after it added 123 departmental posts in Delhi Police. With these departmental vacancies announced today, the total number of vacancies stands at 1346 now. The last date to apply at ssconline.nic.in was April 2 and now it has been extended till April 14, 2018. SSC will conduct online exam for the recruitment in June and December. While exam for paper 1 will be held from 4-10 June 2018, the paper 2 will be held on 1 December 2018. SI in CAPF is classified as Group B (Non-Gazetted), Non-Ministerial, SI in Delhi Police and ASI in CISF are Group C (Non-Gazetted). SSC said that the Commission has been receiving repeated requests from Delhi Police to fill up the departmental vacancies of Sub-Inspector (Executive) - Male which are to be filled by the departmental candidate amongst Constables, Head Constables and Assistant Sub-Inspector of Delhi Police with minimum three years service, who shall not be more than 30 years (33 years for OBC & 35 years for SC/ ST) of age. After this, the SSC has now decided to also include 123 vacancies (SC-19, ST-08, OBC-33 & UR-63) of departmental candidates reported by the Delhi Police for the post of Sub-Inspector (Executive) - Male in Delhi Police in the recruitment process. The direct recruitment of Sub-Inspector for departmental candidates in Delhi Police will be made as per Rule-7 and 27-A of Delhi Police (Appointment & Recruitment), Rules 1980 (Amended in the year, 2013) and Standing Order No. 321/2013. The departmental candidates will have to appear in the common Computer Based Examinations (Paper-I and Paper-II) of Sub Inspector in Delhi Police, CAPFs and ASI in CISF Examination, 2018 along with other candidates. However final result against departmental vacancies will be processed by Delhi Police based on the performance of candidates in Computer Based Examinations after declaration of final result of the said examination by the Commission. Departmental candidates of Delhi Police, who have already applied for this examination need not to apply again, said a notification from SSC.